Just in for review is this deluxe version of the Quanum 430mm Venture. 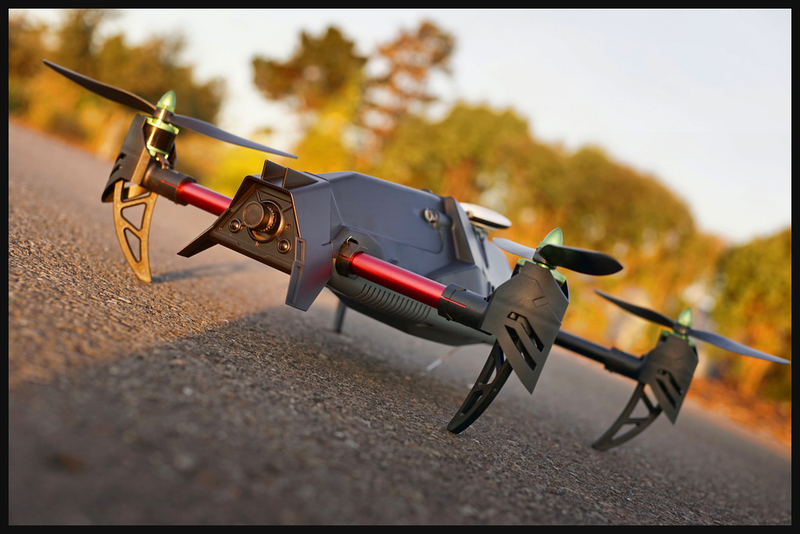 Available in three different versions, the deluxe version includes a DJI Naza Lite flight controller, FatShark camera and video transmitter, Multistar brushless outrunners and Afro ESCs. We had this cool looking plastic body equipped quad out for first flights today and we were instantly loving it! 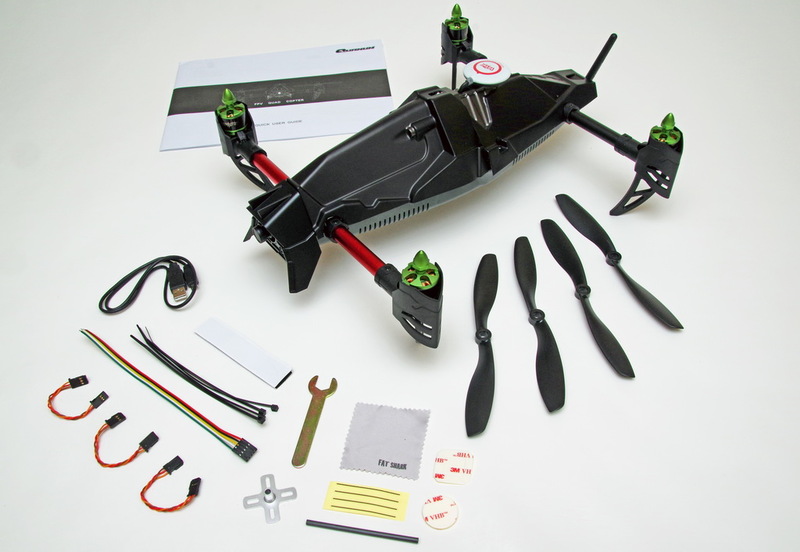 HobbyKing did not pull any punches when they selected the components for this product! Any pilot who has flown DJI knows how stable the Naza series of FC’s are in-flight. We are not sure if this aircraft is rooted in the Dark Knight series of movies or straight out of Battlestar Galactica; either way, we are loving its semi-sinister matte black appearance! 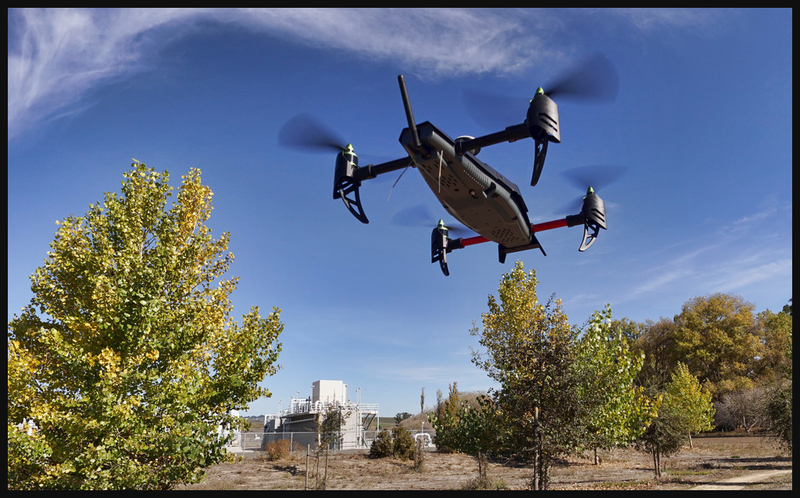 Just when we have almost convinced people to STOP calling our multi-rotor aircraft “drones”, one comes along that looks every bit the part of, well, yeah … a DRONE! Its time to go FPVing! 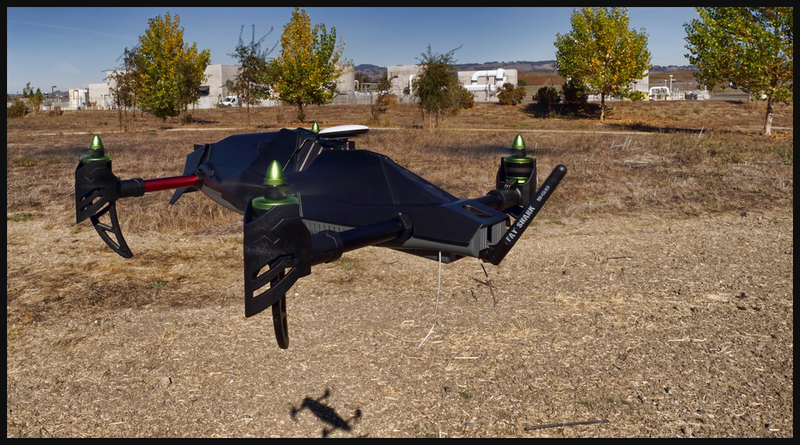 Stay tuned for a full review, to appear in an upcoming issue of MultiRotor Pilot Magazine!